New York, NY. 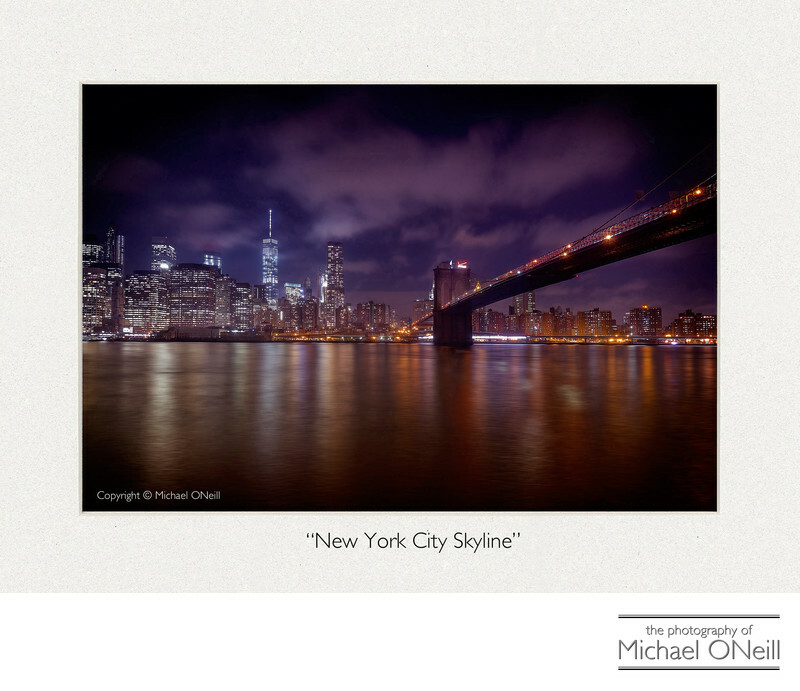 What better a representation of the "Big Apple" than an image of the NYC skyline. This images was taken on an unusually warm November day. I was leaving the next morning for sunny Florida and leaving behind some of the nicest November wedding I’d ever witnessed in New York. A photographer friend and I took advantage of the splendid weather and went on a little photo safari hitting spots in the city such as SoHo, the meat packing district, Tribeca and the famous Flatiron Building. On the way out of Manhattan we stopped on the Brooklyn side at an area referred to as DUMBO (an acronym for Down Under the Manhattan Bridge Overpass). This waterside park is an incredibly popular spot. As a wedding photographer I have often visited this location with my bridal clients. This night I just came to photograph the skyline. This image was not captured with a big, expensive DSLR digital camera. I used my mirrorless Fuji X-T1 compact camera and a 14mm Fujinon lens on a tripod to make the long exposure necessary to create the smooth-looking water service. This image is available artist direct or through the fine art galleries that represent my body of work.